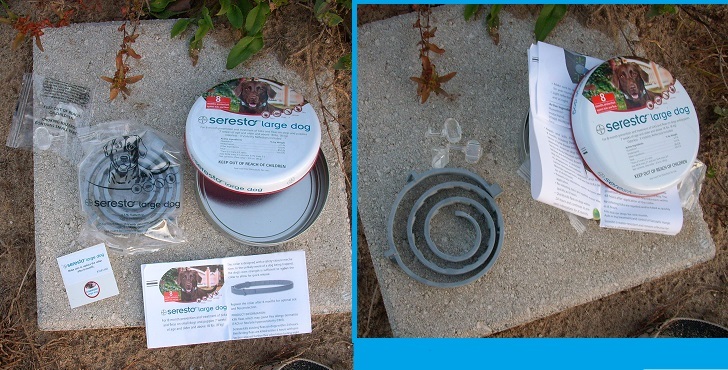 Seresto: Not your momma's flea collar. Seresto is Bayer's new innovative 8 month pest control collar. Cousin Lily, I brought a gift for you. 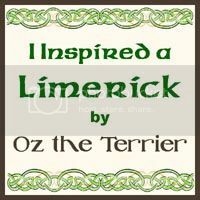 The nice humans from Bayer gave it to me when I was at BarkWorld 2012. It was a secret! Seresto wasn't released in the United States until February 2013. They have been using it in Europe for over a year. I know I heard your humans talking about the tick issue in your yard. This will keep them off of you. Seresto comes sealed in a cool looking canister. There are 3 different kinds: small dogs (less than 18 pounds), large dogs (over 18 pounds), and cats. Yes, they have one for cats. The price for all three sizes is the same. The price of one 8 month Seresto collar is comparable to the price of 8 doses of a quality monthly treatment, maybe even less. It closes with a ratchet type mechanism, not a buckle. The ratchet closure will release if enough pressure is applied. That way you don't need to worry about getting trapped by it. Do not attach your leash to it, it isn't designed for that. The small dog and cat collars have a predetermined break point as an added safety measure. Seresto combines the effectiveness of top spot treatments with a slow sustained delivery method that lasts up to 8 months. (If you have a bath more than once a month, or go swimming more than once a month; it is closer to 5 months.) The ingredients are distributed through the sebaceous layer, like a top spot. However, it releases slower than a top spot. It can take up to 24 hours before it is effective on fleas, and 48 hours for ticks. Good news, you don't have to wait for it to dry! You can roll on the bedspread right away! The active ingredients are very similar to Advantix. The collar needs to touch the skin to release the ingredients. 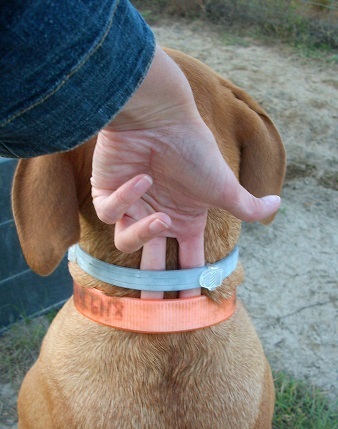 For a comfortable fit, humans should be able to fit 2 fingers between the collar and the skin (the collar will be able to touch the skin in the other spots). I don't know, but I imagine the ingredients are absorbed by the sebaceous layer the same way a sponge soaks up water. Once there is enough in it, it won't soak up any more. Seresto is a neutral gray color, so it won't clash with your regular collar. It even comes with bling! There are 3 reflectors inside the container that you can attach to it. Pawsome! The reflectors help humans see you, and they add pizazz. I think the Seresto collar is prettier than Lily's regular collar. BOL! Cousin Lily has been wearing her Seresto collar for almost 4 months. She has not had any side effects or hair loss. There are no fleas, ticks, or other bugs on her. It does appear that she (or one of her humans) may have loosened the collar a little. I suggest checking the fit every few months, particularly on very active dogs. 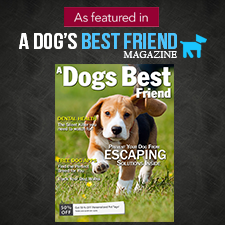 Surveys have shown that many pet owners don't use their flea treatments consistently. It is also known that flea treatments are most effective when they are used consistently- all year long. One of Bayer's goals is for more pet owners to consistently treat their pets. 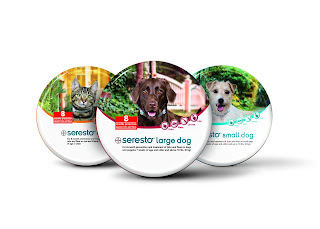 With Seresto, there won't be anymore "I forgot to put on the flea spot" excuses. You only need put Seresto on once every 8 months. Seresto doesn't stink, have any powder, or greasy residue. There is no mess. 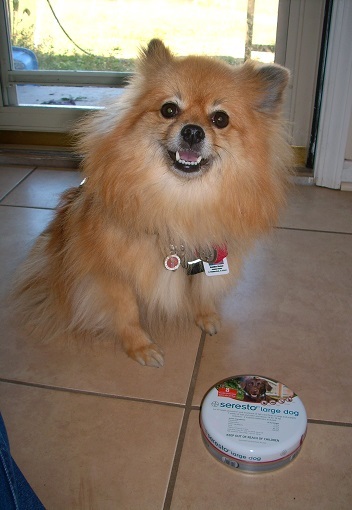 I recently received a Seresto collar for myself, at Global Pet Expo 2013. I will wear it as soon as my current dose of Advantix II is finished. Note: I received Seresto before it was released in the United States. Therefore, I was unable to ask my veterinarian about it. My veterinarian sells Advantix, a Bayer product, and I use it. I compared the active ingredients, and asked the Bayer veterinarian several safety questions - before I accepted a sample to use. Please remember I am not a veterinarian. You should always check with your veterinarian before changing any of your pet's medications or pesticides. BOL!! I know you will give it real good workout with all your outdoor explorations! I would certainly check with your vet. Specially since he had a reaction to Advantix in the past. 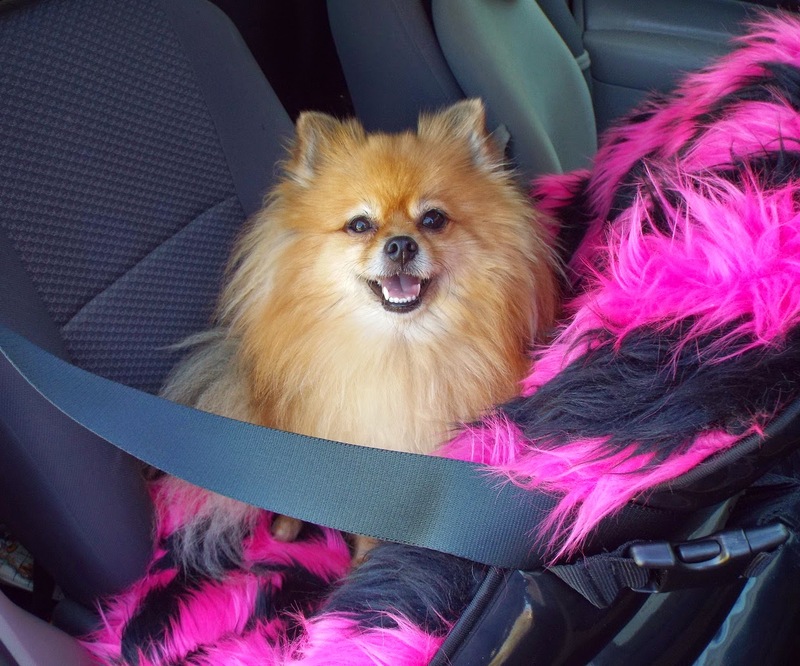 For pets with known issues, it is probably best to stick with whatever you already use. I have never had a reaction to Advantix, so I doubt I will with Seresto. It is reported to be safer since it doesn't have the Permethrin. How do you get the collar to touch the skin, Pepper? I have fur evfurrywhere. BOL!! So do I! I suppose it will burrow into the fur like a regular collar. It should get close enough if it isn't too loose. I think the fur could wick it to the skin. I never thought to ask this particular question. I'll have to ask it when I get a chance. Good one. They know how furry I am. BOL! "Cristiano von Simson , DVM, MBA, Director of Veterinary Technical Services at Bayer HealthCare LLC Animal Health Division, North America, says, “Regardless of fur length, Seresto is effective in preventing fleas and ticks on dogs and cats for up to 8 months.”"
Pepper sounds very interesting it works for ticks and fleas. Mommy uses the one that goes on our shoulder every month but when she takes us to our vet in April she will check into this. Does it come off and go back on easily so that mommy could take it off give us a bath and put it back on. You can take it on and off, but it isn't meant to be worn that way. The extra baths will strip your sebaceous layer. When you wash it all off, it is like starting over. It will need 24 hours to work for fleas. It will use a dose to refresh your sebaceous layer. When you bath more than once a month, it uses the doses faster, and is less likely to last the full 8 months. Real glad it works for you pep! I have gotten cheapy flea collars before and they have never worked but this one seems a lot better!!! Hey!! How is the collar working out for you, I just put it on all my little dogs today... and was wondering how it was for you? I have been wearing my Seresto collar at least 4 months now. It works great. Mom has not seen any fleas or ticks on me. It still doesn't smell. Some pals were asking about humans & human kids touching it. Mom has touched it with her face when she buries her face in my ruff, and she touches it with her hands a lot (during brushing, petting, playing, sleeping) without immediately washing them. Mom has very sensitive skin and nothing happened to her. Mom doesn't have fleas either, but I think that is normal for humans. BOL!! I will be buying a new one when my 8 months are used up. They have them at my vet's office now. Hi Wendy, I received my collar at a BarkWorld Pet Expo blogging conference for the purpose to review it. I do not know if they are still sending them to bloggers to review. If you have a blog, you may want to look up their contact information at the website, and ask them. :) I know they are available for purchase at online shops, vet offices, and pet specialty stores. Any one seen anything about dogs playing with the collar? My dogs grab eachothers necks when they play. I don't play very rough. Just grabbing it shouldn't do anything, but you may need to tighten the collar if the play loosens it. I am not aware of any new developments. I am still wearing Seresto for protection from pests. I've been wearing one for about 3 years now. I put on a new one every 8 months. I have a Maltese, put Canes collar on wed. Today is Friday, still see a few fleas ? Its been over 24hrs ?? You may need to treat his bedding, the floors, and the yard. Flea eggs in those places will hatch and the fleas will jump on him. The collar will kill the fleas on him, but not the ones that are still in the carpet. The collar works the same way Advantage works. Our dog was sprayed by a skunk and his Seresto collar stinks. Can I clean it? Seresto can be worn during a bath, so you should be able to clean it. However, you could lose one month of effectiveness due to the extra bath. Pawsonally, I think replacing it a month sooner than expected would be worth it to wash off the skunk smell. Good morning pepper. I have a Maltese that i let him be a dog and run in my yard and play at the park and beach. My question is since he gets a bath at least twice a month sould i try to take off the collar for one of the bathing. I dont want to break it because Nemo ❤️ his collar no flees on him or mosquitoes bite. Hi Nemo! Baron wears his collar during bath time. The groomer takes mine off. I have really thick neck fur that gets tangled from all types of collars, even rolled ones, and she needs to brush them out. The collar is water proof, the bath won't wash the medicine out of the collar. 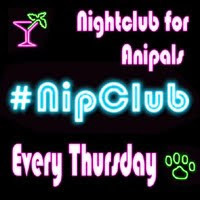 The bath washes the medicine off of your skin & fur, after the bath your skin will pull a new dose out of the collar to replace your insect protection. Basically, either way is fine. If you do remove it - do it carefully. Thanks Baron for the great advice. Hey there Pepper! I was wondering if while wearing your Seresto collar you are allowed to sleep with your humans? I want to get one for my pup but he does sleep right up by my face and gets on my pillows etc and I'm not sure if that should be a concern? Thanks for the help!! oh yes, I certainly sleep with my human. She has rubbed her face in my neck fur with the Seresto collar lots of times, and never had a problem. Pawsome! I am a senior pup now myself and I still wear a Seresto collar. I have a heart murmur and insufficient liver function (The vet says they are from genetics and age, that there was no way for mom to prevent them.) My vet still likes that I wear a Seresto collar to keep the bugs off. Hi Pepper, thanks for all your help. I took the collar off my dog two days ago. I want to put it back on. Will it still work? She hasn't been bathed. I just took it off. Thank you. Yes your Seresto collar should still work - as long as it is less than 8 months old.